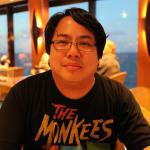 MPAA Rating: PG for some action violence, peril and frightening images. Running time: 129 minutes. Released by Walt Disney Studios Motion Pictures. 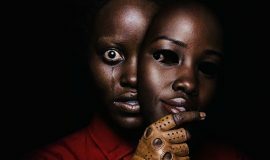 Three words which mean exactly the same thing: the fear a motion picture studio exhibits by not taking a chance on something original, so they’ll repackage a previously-successful film with a facelift and new vibe for today’s audiences. This disconcerting lack of originality has taken over the Disney company; their latest efforts have been put into doing live-action updates of older animated favorites. 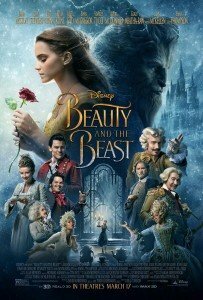 In the last few years, we’ve been treated to reimaginings of Maleficent (the Sleeping Beauty story), Cinderella, The Jungle Book, and Pete’s Dragon; now, the first animated film to ever be nominated for an Academy Award for Best Picture, 1991’s Beauty and the Beast, gets a similar treatment. Well, as long as there’s an audience for them, Disney’ll keep making them. Here’s the thing about these Disney live-action updates: they’re good, imbuing new depth and emotion while keeping things very family-friendly and straightforwardly, good-heartedly simple. 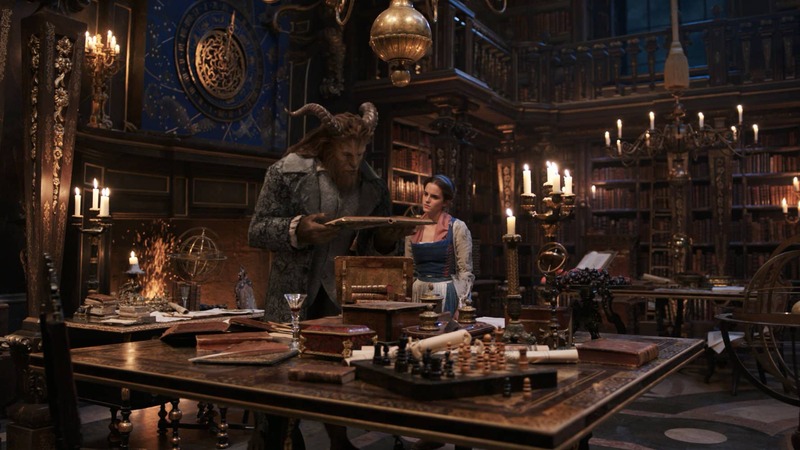 The same goes for the gorgeous and charming Beauty and the Beast, except for a few minor issues which may make the film feel like it’s merely going through the motions at times. Why, when the original stood as the bar for Disney excellence, would Disney want to tarnish the film’s legacy with something less than perfect? Even with a 129-minute running time, director Bill Condon speeds us through his vision of Belle’s (Emma Watson) life in a small town in France, making brisk stops at all the requisite story points but never giving us time to really dig our heels in and appreciate each moment. 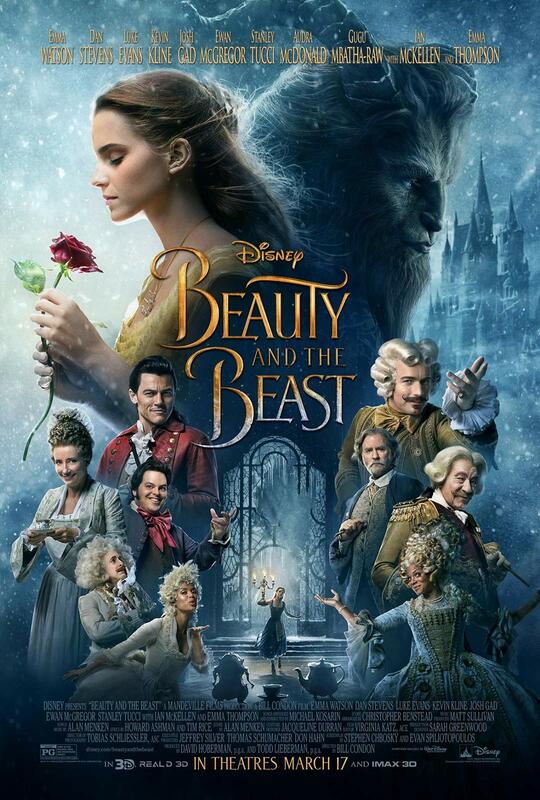 The screenplay by Stephen Chbosky and Evan Spiliotopolous sweeps us along the story of Belle and the cursed Beast (Dan Stevens) slowly growing to love one another amid darker forces from within and without. The film takes just enough time to establish our characters and the hierarchies differentiating the townspeople before diving right into the action. 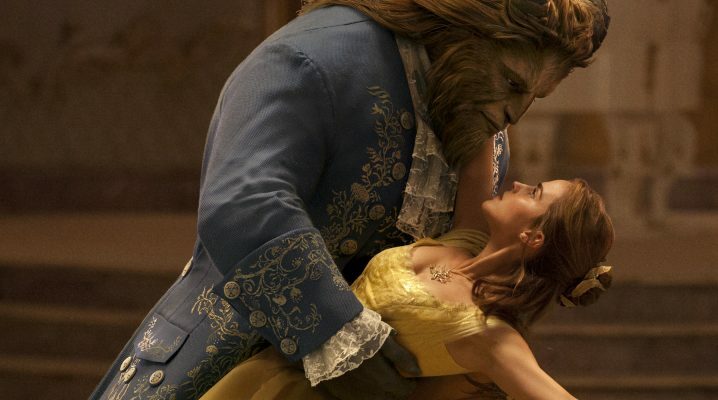 Emma Watson not only wins us over as Belle, but she also wins over The Beast, played gamely through motion-capture by Dan Stevens; that they do well together is one of the great things about this movie. You almost wish for more time spent with them, as they’re not just cute – they push and pull at each other, bringing out each other’s best, be it brains or emotion. It’s a nice game of tug-of-war they play, with Belle awakening The Beast’s long-forgotten human side and gentility. Of course, what would a Disney movie be without some ale-quaffing blowhard ruining it all? Luke Evans brings the formerly-animated Gaston to life with equal parts swagger, idiocy, and self-obsessed bravado, with hype man LeFou (Josh Gad) clinging to him like a barnacle. 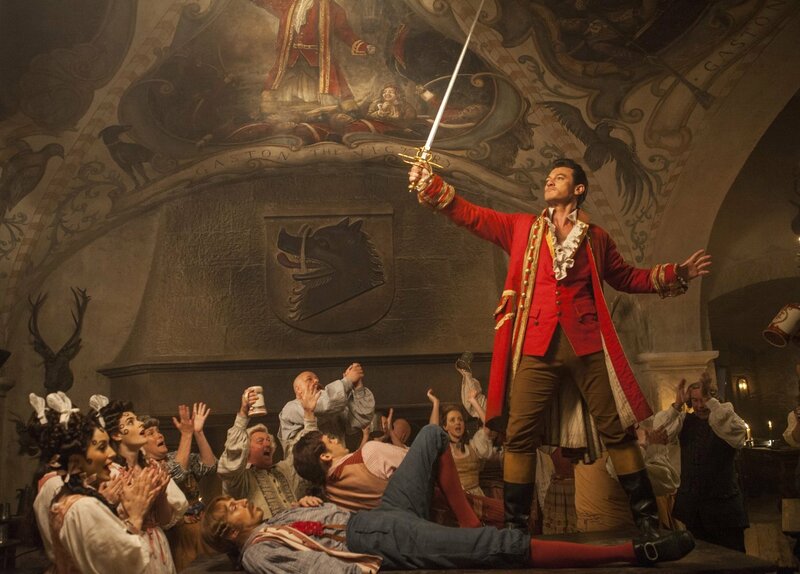 Gaston’s got an eye on Belle, but her cantankerous father (Kevin Kline) and her smarts just keep getting in the way. There’s a bit in the film which seems very timely when considering the current political climate, at the center of which is Gaston, furiously spouting dangerously hate-filled conjecture in the face of experience and fact. 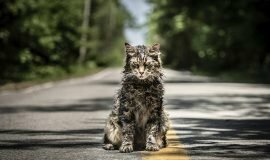 The story’s there, and the film is well-acted, but we’re not made to dwell in it long enough for it to leave any lasting impression. In trying to match the 1991 animated film beat-for-beat and almost shot-for-shot, Condon doesn’t let the artistry of the piece – which includes wondrous set design, art direction, and costuming perfection – speak its own words. Due to the lack of organic surroundings (the countryside and castle are obviously computer-generated), we’re stuck in what feel like sets, instead of what feels like a lived-in world, where natural decay and rot have set into the castle’s battlements. 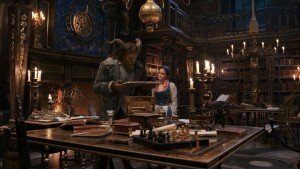 Beauty and the Beast feels a little bottle-episode-ish at times; it’s all too noticeable, even with the cast’s winsome distractions and performances. The singing is even more troublesome to me; emotion and gusto have been sonically drained out of each vocal performance, resulting in flat delivery from the main cast. Autotune and brickwalled vocal compression have taken away the life that should belong to songs like “Belle” and “Be Our Guest,” leaving no nuance or dynamic. The Beast’s lament during the heart-wrenching “Evermore” should be leaving us in tears, but the sound mix and vocal treatment fails at reaching our souls. It’s quite a contrast to Disney’s Moana, where the music and vocals soared, touching every fiber of our being and keeping us in its spell. 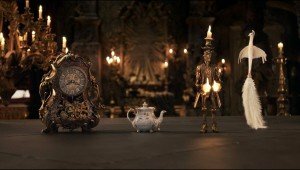 However, for all my nitpicks, Beauty and the Beast is a visual wonder to behold, and the timing of its release couldn’t have been any more appropriate. In a politically uncertain time when facts are fiction and TV is reality (apologies to U2), this film takes on a different tone in 2017 America. Brutish beasts we all may be, and it’s a difficult place to live in when there is no love in our hearts. 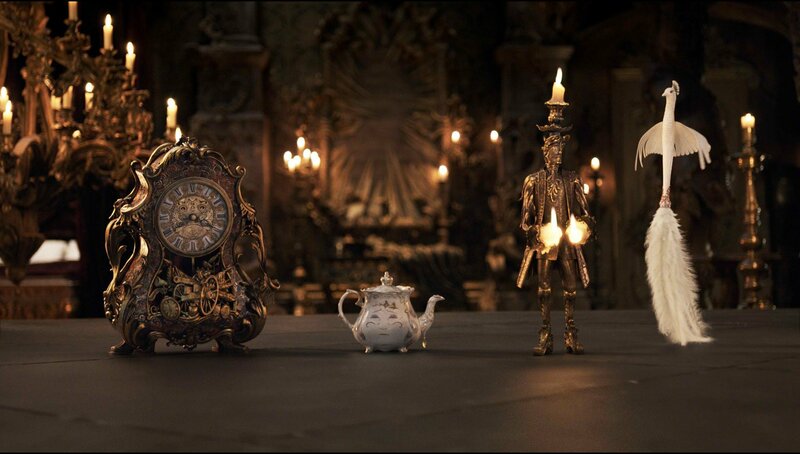 Beauty and the Beast shows us, once again, that it’s possible to stop being monsters and become the heroes we were born to be.